Apple's Passbook application is a place to store virtual versions of credit cards, airline tickets, gift cards and thanks to Siri's new-found ability in iOS 6.1, even movie tickets. Unlike Google Wallet and Isis, Passbook doesn't require NFC connectivity. All you need for Passbook is a Wi-Fi or cellular connection. Apple has been trying to expand the usefulness of Passbook and has started selling gift cards for the Apple Store that are enabled for Passbook. The cards can be bought using the Apple Store app which was recently updated, and is available in prices ranging from $25 to $2,000. The cards come in three colors and if the recipient doesn't have Passbook to store the digital gift cards in, he or she can receive an email that can be printed out. 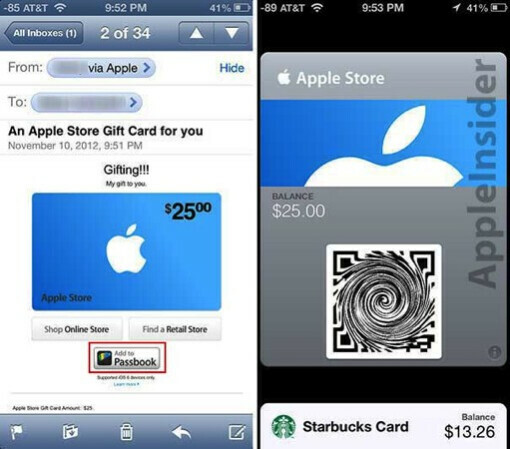 If the lucky recipient does have Passbook, he or she can take advantage of an option that uses the gift receiver's zip code to receive a notification whenever he or she is close to a bricks and mortar Apple Store. This is the perfect time of the year for Apple to introduce these digital Apple Store Gift cards. With Black Friday coming a week from next Friday, buying the card and sending it to the recipient is a snap and allows you to avoid the traffic, long lines at the mall and the pressure that comes from trying to find the perfect gift for every one on your list. Lets see what kinda anti apple bashing this article gets. by posting this you are inviting more than it's due share. Oh, you HAD to type that now, do you? Somebody was actually working at apple. I like this idea, to bad I don't like apple. Meh iPhonearena. Apple, apple and only apple all hail apple MEH. Dont send me warning email just suppose iGot one for writing something against iLord apple. 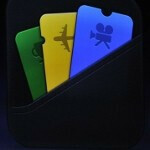 I will have to admit, the passbook idea is pretty good. Its not as effective or versatile as NFC is, but it seems to be good enough for some people.